There are more reasons to head to Hanjip Korean Barbecue, as if you needed an excuse. 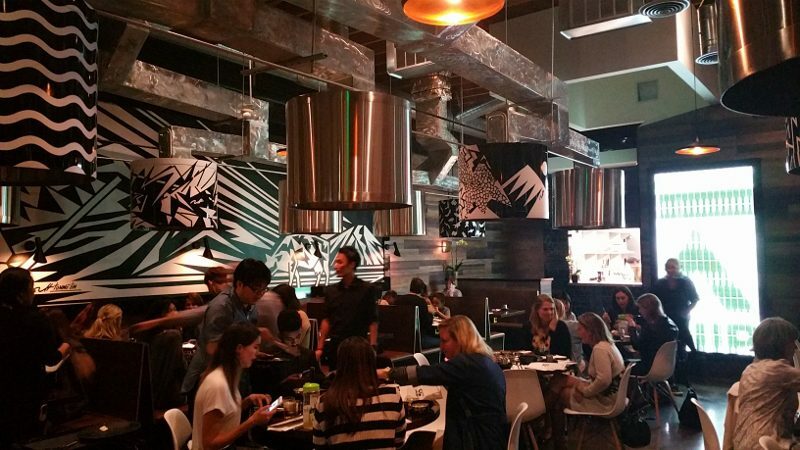 Open less than a year, the upscale Korean barbecue restaurant in Culver City has made a few changes and additions. Since opening, the menu has become a bit more succinct. The new menu offers a “how to Korean barbecue” at the top of the page. There are two platters offered, either beef or pork and either large or small. 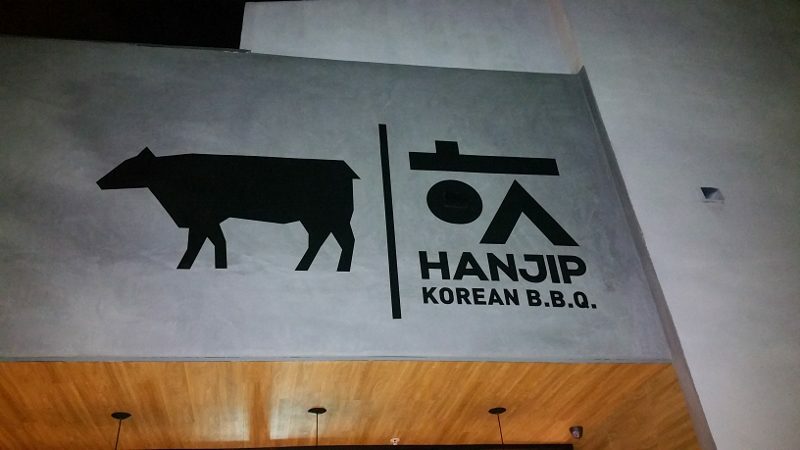 Korean BBQ has come to the westside! Located in Culver City, on Main Street next to The Wallace, Hanjip Korean BBQ is the result of partners Stephane Bombet (Terrine, Viviane) and Francois Renaud (Terrine) and Chef Chris Oh (Seoul Sausage). Inside, the decor is modern and eye catching. The walls, as well as the ventilation systems above each table, are covered with black and white geometric lines. Korean BBQ is meant to be shared with friends. While you can sit at a table for two or four people, the booths and round tables in the center are better for parties of six. With the amount of food you will probably eat, the bigger the group, the better!